Last week I held an impromptu photo contest to guess where I took two pictures. Alas, no one tried to guess, but today I’ll still give you the answers. The first photo, shown at left, is indeed tricky. 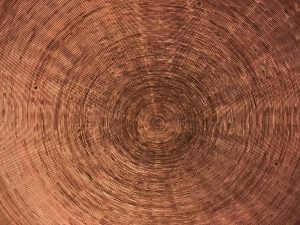 It’s the ceiling of Temppeliaukio Church, also known as the Rock Church, in Helsinki, Finland. 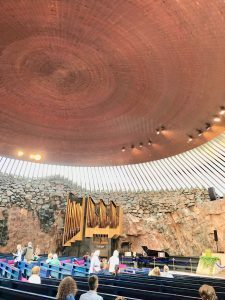 Today’s blog about Helsinki is the first in my series describing my recent travel adventure to cities and towns surrounding the Baltic Sea, and it seems appropriate to begin with a further description of the Rock Church, unusual because it’s built in rock rather than on it. 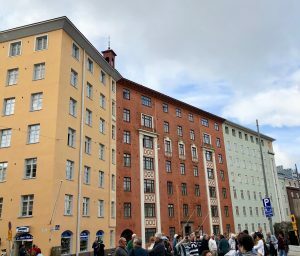 The church is in the Töölö neighborhood constructed between 1920 and 1930 in the Nordic Classicism style to provide housing for the rapidly growing city. Plans called for a church at Temple Square. Planners held a competition to design the church, but planning stopped in 1939 with the onset of World War II. After the war, a second competition took place. The brothers Timo Suomalainen and Tuomo Suomalainen designed the winning concept for a church built inside the rock. The interior was excavated and built directly out of solid rock. 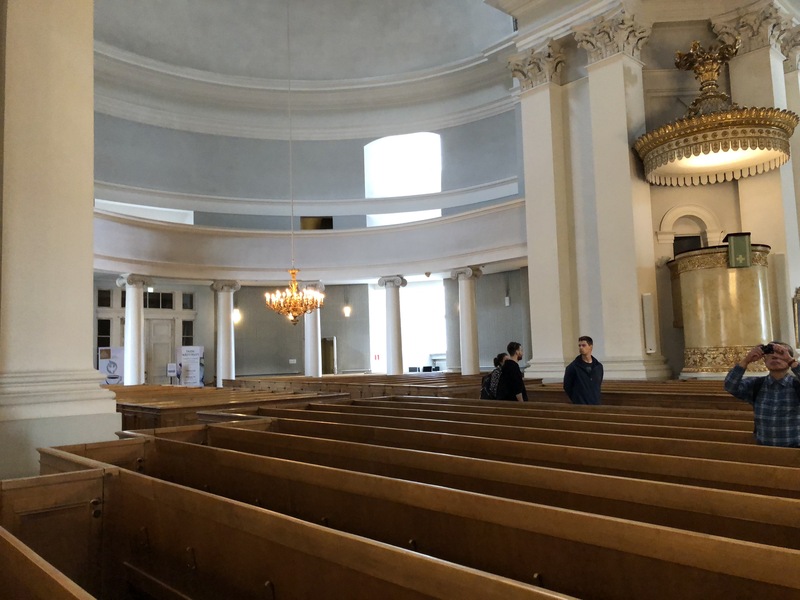 Natural light enters via skylights surrounding the central copper dome — 14 miles of copper wire supported on the rock walls by reinforced concrete beams. 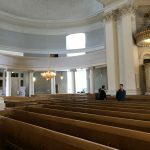 Since its completion in 1969, the church is known for its outstanding acoustics due to sound bouncing off the rough rock walls. 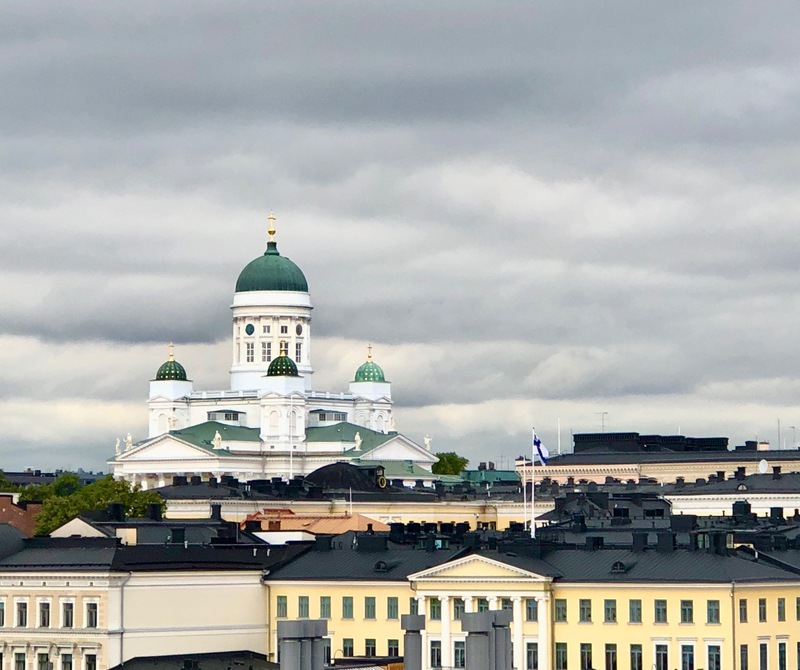 The Dome of Helsinki Lutheran Cathedral was the last building on the square. Both the exterior and interior are done in Nordic Minimalist style. 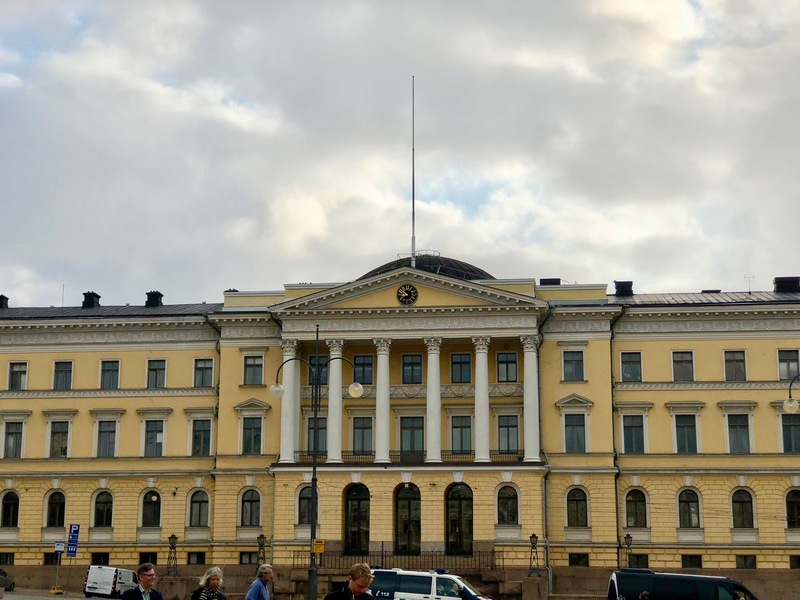 A final notable feature of Senate Square is a statue of Tsar Alexander II completed in 1894 as a rebuke to Nicholas II who had embarked on a policy of Russianization and tried to initiate the draft of Finns into the Russian army. 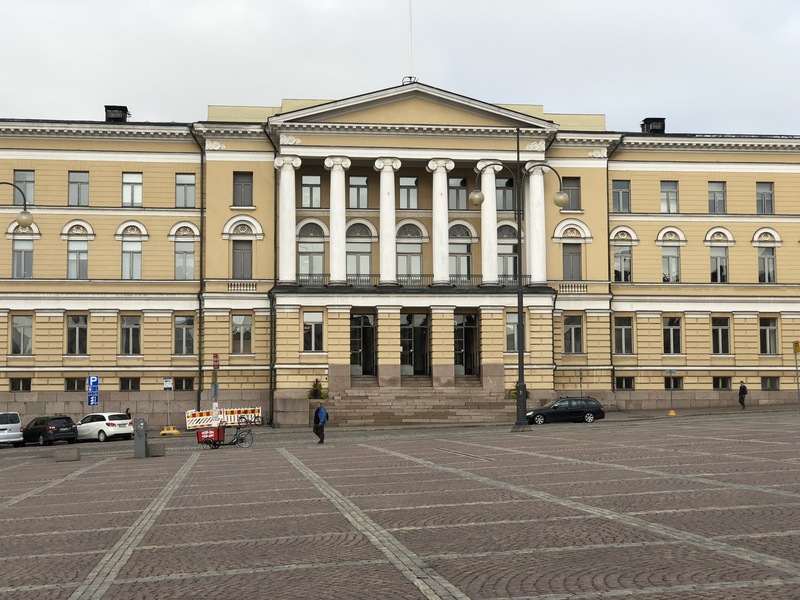 The Finns refused to serve, and erected the statue as a protest to Nicholas by extolling the virtues of his grandfather. 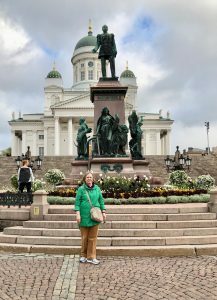 Jean Sibelius (1865-1957) was a prolific composer who saw his music as a way to build Finnish nationalism in the struggle against Russia. 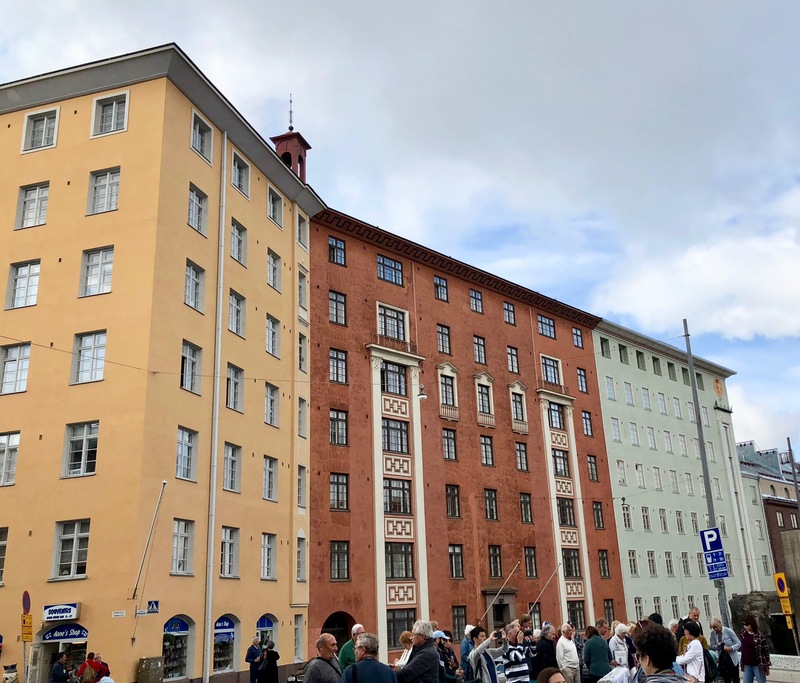 His best known work is Finlandia, a tone poem composed as rebuke to Russian censorship. 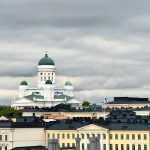 Finlandia Hymn is an important national song today. Lutherans will probably recognize the tune from the hymn Be Still My Soul. 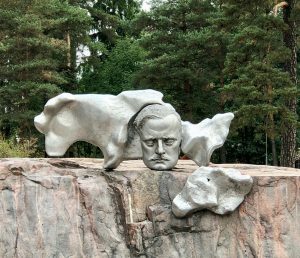 After Sibelius died in 1957, the Sibelius Society organized a competition for the design of a memorial. 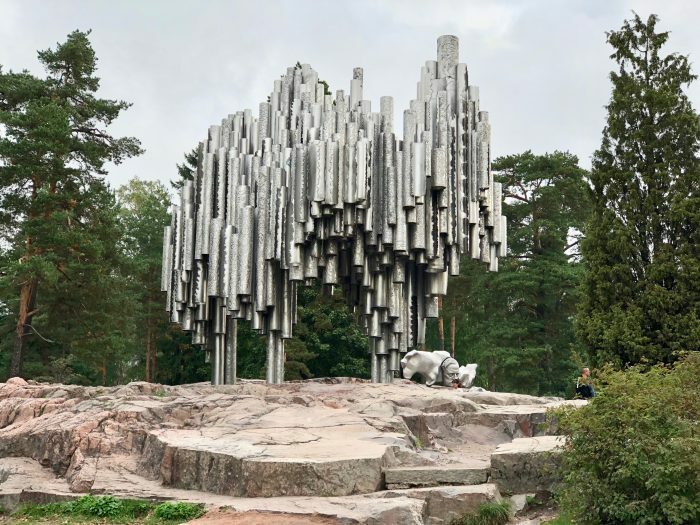 Eila Hiltunen received the commission and designed the monument unveiled in 1967, officially named Passio Musicae and meant to capture the essence of music. The memorial is 600 hollow steel pipes welded together. Despite being hollow, the monument weighs 24 tons. The design was controversial. 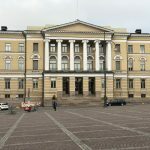 Opponents complained it resembled a pipe organ, an instrument Sibelius didn’t use in his compositions. Also, there was no depiction of the composer. Hiltunen compromised, and placed the composer’s sculptured head nearby. T he last site I visited was the Seurasaari Island and Open Air Museum which is only open in the summer. 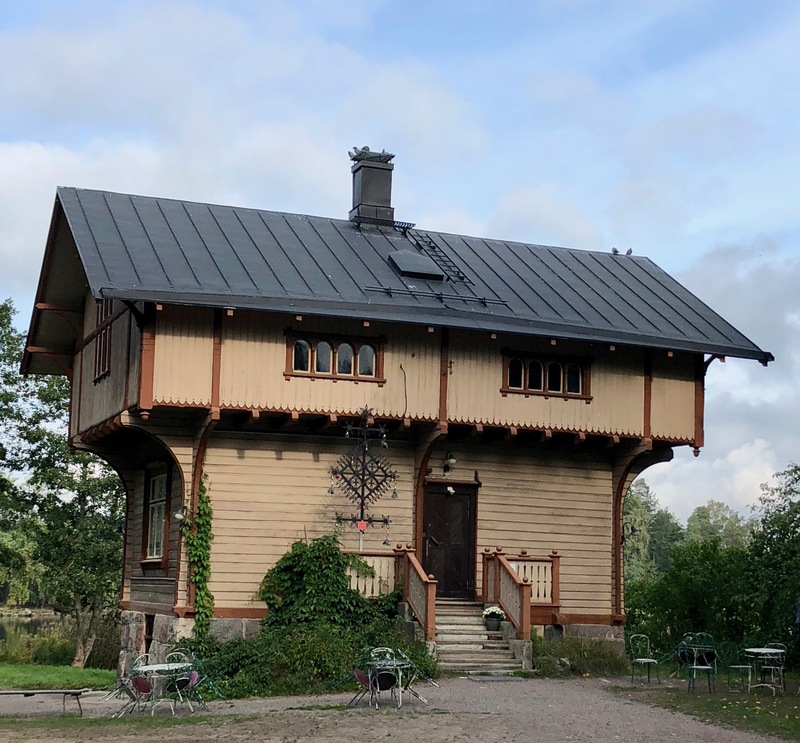 Founders of the outdoor museum gathered surviving cottages, farmsteads, manors, and tar boats from throughout the country and placed them on Seurasaari Island as a sort of living history museum. Many people visit the island to stroll, hike, or relax at one of the island’s two beaches. I was told that if one is out walking and encounters someone they know, the polite response is not to greet the individual but to turn away, because everyone has a right to privacy. On that note, let’s turn to the second photo I shared last week. 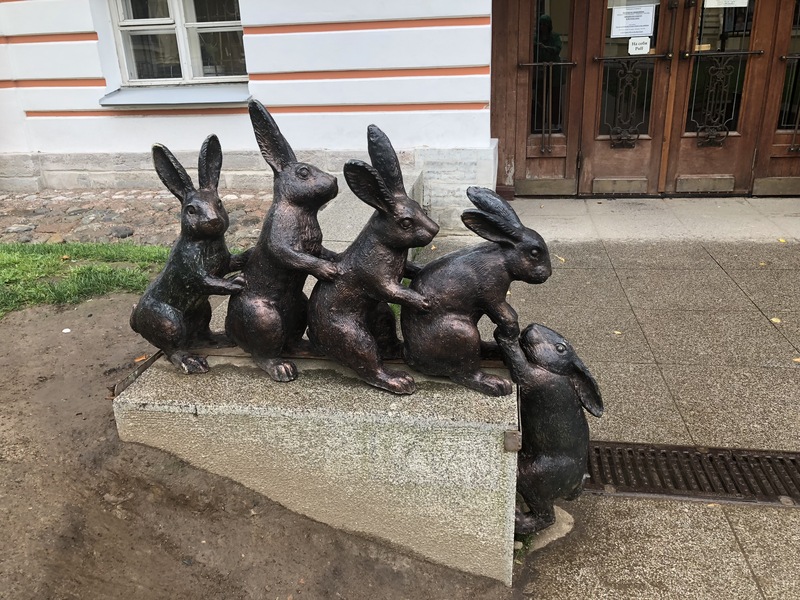 This one is called “Five Rabbits in the Flood” and is located in the Peter and Paul Fortress in St. Petersburg. The sculpture joined the grounds in 2015. 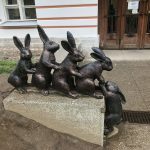 I’ll share the significance of these rabbits in a future blog. 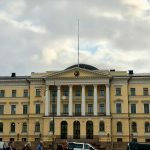 I hope you’ve enjoyed my notes on Helsinki. 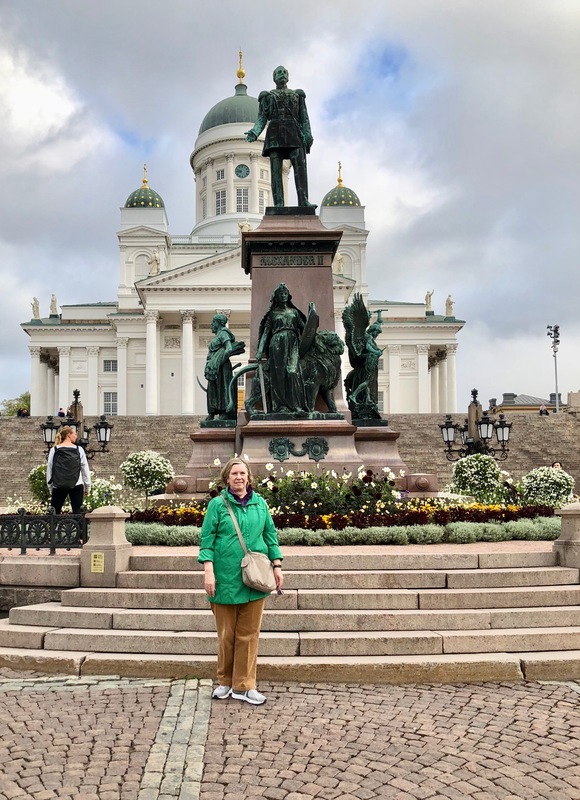 The Baltic travel series continues next week. It seems like those pipes would sing when the wind blew by them. They look that way, but the pipe exteriors are solid and the interiors are hollow. Nothing moves. 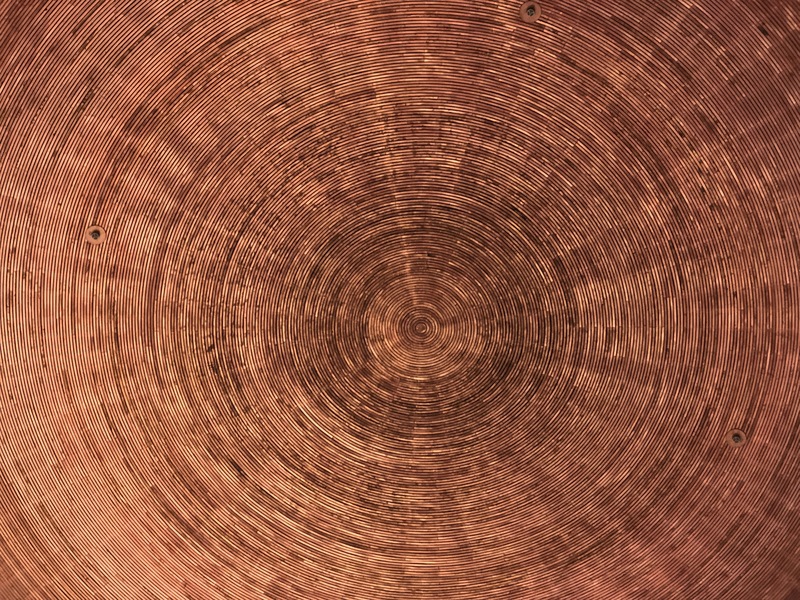 The pipes do have designs on the surface. Thanks for commenting.